The first trailer for Spider-Man: Far from Home finally dropped online today and brought with it a great many things. We got our first look at Mysterio in live-action, we know what Peter Parker looks like in Europe and plenty more. But chief amongst the things that the footage brought was confusion, because, as we saw at the end of Infinity War, Peter Parker, Nick Fury and others should be dead. But here they are, alive and well. That has led some to wonder if this movie actually takes place prior to the events of Infinity War. It's a reasonable question. Was Peter Parker coming home from his trip on the school bus in the beginning of the movie? As much as that theory would simplify things, that's not the case. Spider-Man: Far From Home absolutely takes place not only after Infinity War, but after Avengers: Endgame as well. Here's what Marvel Studios President Kevin Feige had to say in an interview last year. "What is it like to try to go back to a normal life after what happens in this movie [Infinity War]? Not to mention what happens in the next [Avengers] movie. It's fun to see that, because he can represent, you know, the world as a whole, as they try to move forward. And you can do it in a way that is tonally unique, and tonally different than, certainly, the two Avengers films that people are about to see." That's pretty clear and doesn't leave a lot of wiggle room. It's always been highly expected that the remaining Avengers will figure out a way to bring back at least some of the dusted heroes from Infinity War, but now we know Spider-Man and Nick Fury, at the very least, are coming back somehow. How exactly that is accomplished is going to remain a giant question mark until after we see Avengers: Endgame, no doubt. Just to make things even more clear, we have another quote from Sony's Amy Pascal, who is one of the key producers on these Spider-Man standalone movies. In a different interview back in 2017, Pascal also mirrored Kevin Feige's comments, but also helps to clarify the timeline even more. Here's what she had to say. "What I think we should focus on is this Spider-Man who started in Civil War and then has this movie, and then will be in the Avengers movie. And we are starting now the next one which will start a few minutes after Avengers 4 wraps as a story." So, as we understand it, assuming that still holds true, Peter Parker is going to be brought back to life, help save the universe, then will come right home and, very shortly after, go on a European vacation with his schoolmates? Alright then. At the very least, we know we haven't seen the last of Tom Holland's Spidey, and that's a good thing. 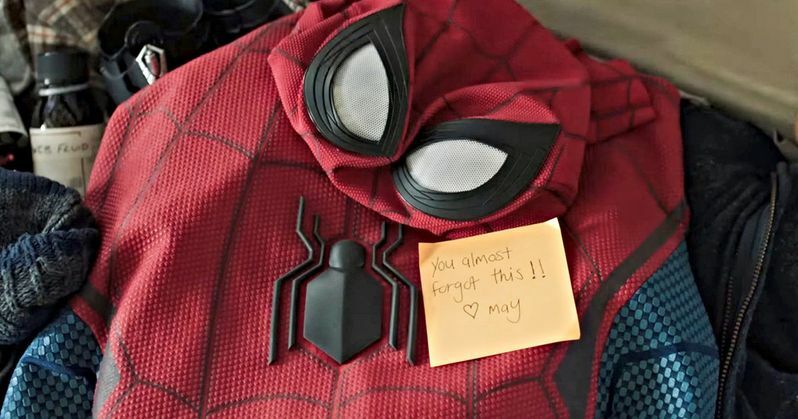 Spider-Man: Far From Home is set to hit theaters on July 5. This news was originally reported by IGN.